DROP DEAD GORGEOUS! 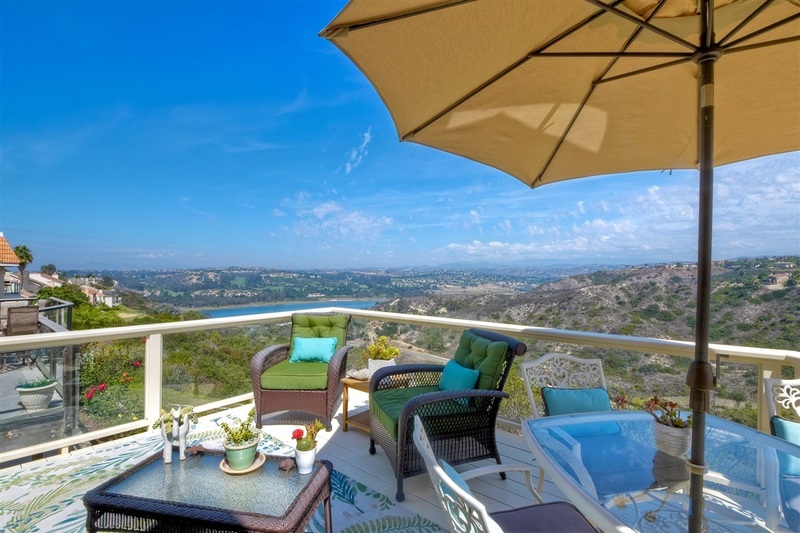 Absolutely stunning ridgetop home features sweeping lagoon & canyon views. Gleaming Provenza hrdwd floors, vaulted ceilings, custom frplc and fabulous handmade craftsman staircase. * Renovated kitchen & baths are upgraded to perfection and steamed in character and charm. * Master in-suite is secluded on the upper level, offering the ultimate in solitude & privacy. Large decks to relax and surround yourself with the tranquility of the back-country views or enjoy the brilliant moon rises, Skyloft is a deck and patio community that is built to maximize views and minimize maintenance. It is a very friendly, âopen armsâ community that has a resort feel with lush landscaping, ocean view pool/spa, two lighted tennis courts, tot lot and clubhouse.